Pastry counter is made of wood. 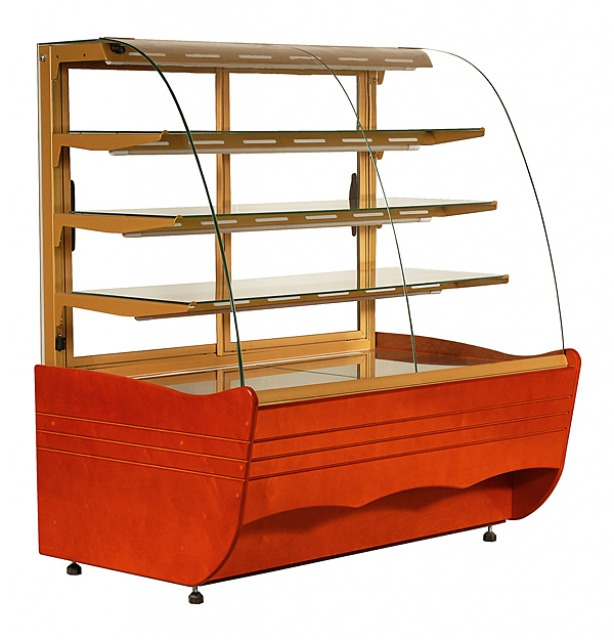 It is equipped with highlighted glass shelves, highlighted front, gold or silver finishes. Stainless steel worktop - free of charge. Without casing: -5%.